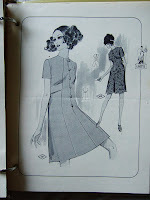 The other week when I was at the dressmaker's house, she showed me some of her vintage sewing books very similar to Lutterloh, in which you use your measurements and a special tape measure in order to draft an array of patterns. One was called something like Sunburst, and another was called Lisette. I hit up Ebay with these search terms and to my surprise I found an auction for a 1969 Lisette book! I was the only bidder and it's now in my hot little hands. 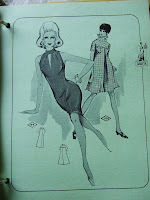 You use 2 measurements - your bust and hip - to draft various patterns with the help of a special tape measure. 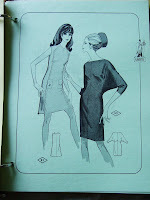 I'm not sure that I'll ever get around to trying this; mainly I just love looking at the late 1960's fashions. Have any of you ever used Lisette? 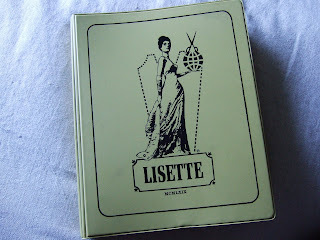 Enabler alert: I just checked Ebay and there is another Lisette book available... It seems to be identical to mine, published in 1969. What a fabulous treasure! Unfortunately the available copy on ebay ships only to the U.S.
You are VERY lucky to have it!! Shhhhh!! Next time, just email me privately! That is super cool! Enjoy it! 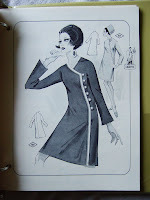 Well, I have never used Lisette patterns but I am Lisette! I'll have to keep my eye out for one! I, too am Lisette! 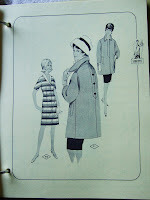 and I own one of these mine had pattern books from '65- '69 very "Mrs. Robinson!" We'll be moving into a Mid-Mod "68 ranch soon. I may have to make a few of these up so I can entertain in style! 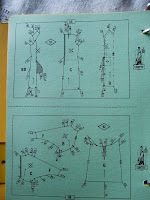 If you don't have the special Lisette tape measure, can you still make the patterns (does the book tell you how to do it)?